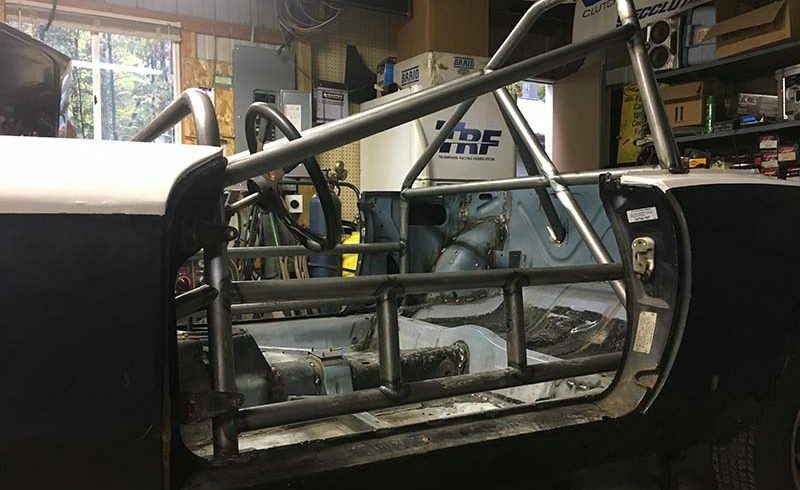 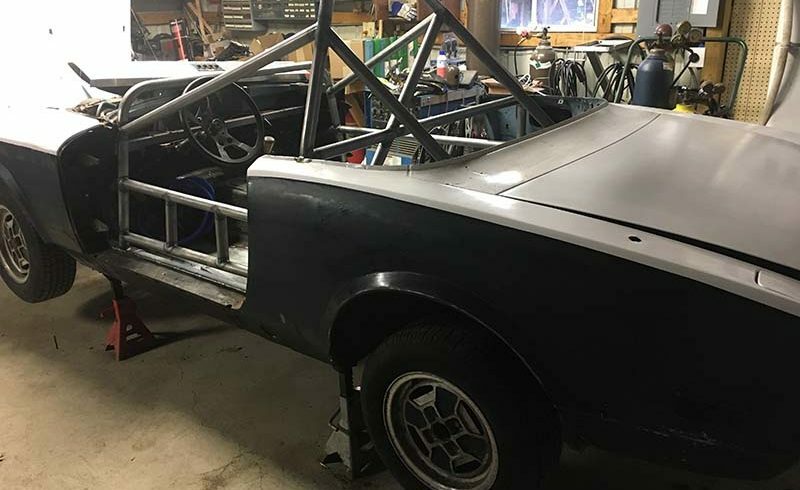 For this vintage fabrication project, we removed the extremely dated existing roll cage, and built a custom fit new modern (and safe) piece. 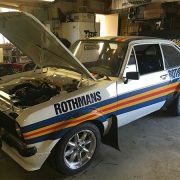 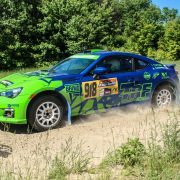 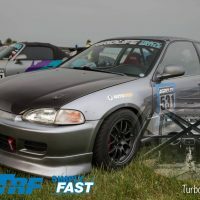 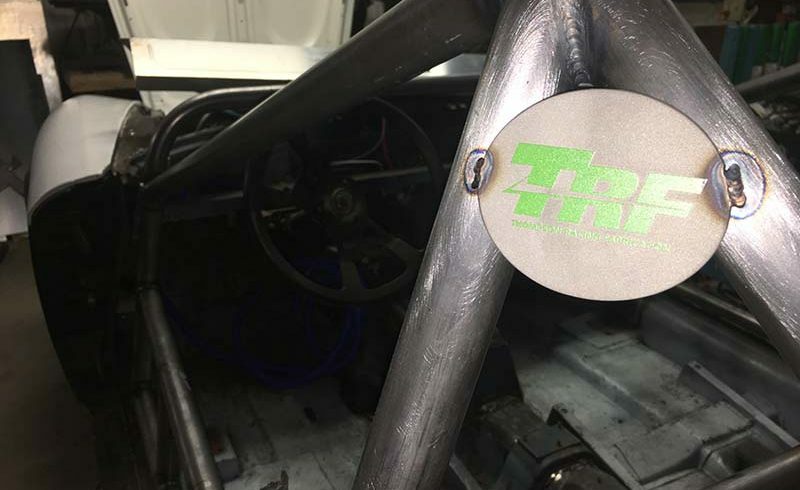 100% compliant with SCCA General Competitor Rules for road racing. 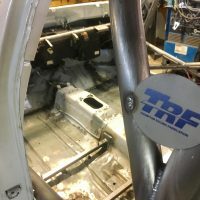 We fit a new FIA fuel cell in the trunk, inside of a custom aluminum enclosure. 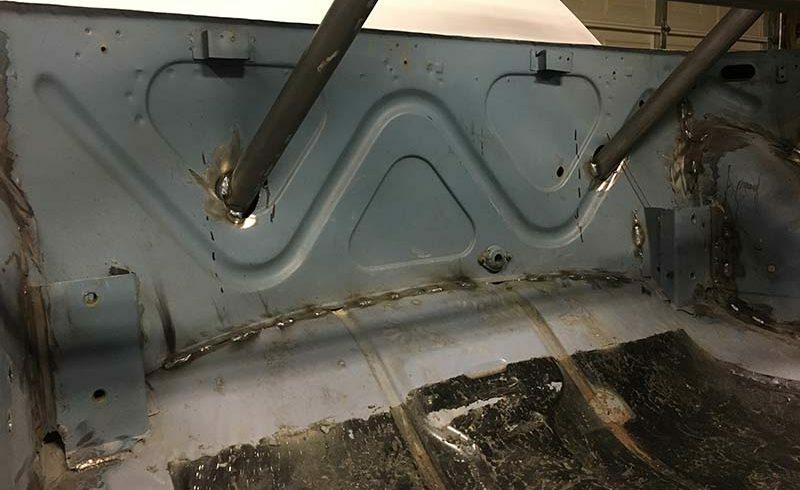 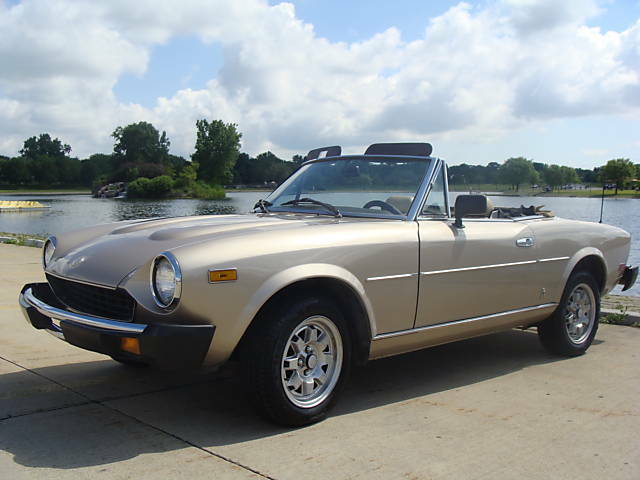 We also coordinated some minor restoration work through our partners at Cherry Classic Cars (Maple City, Michigan). 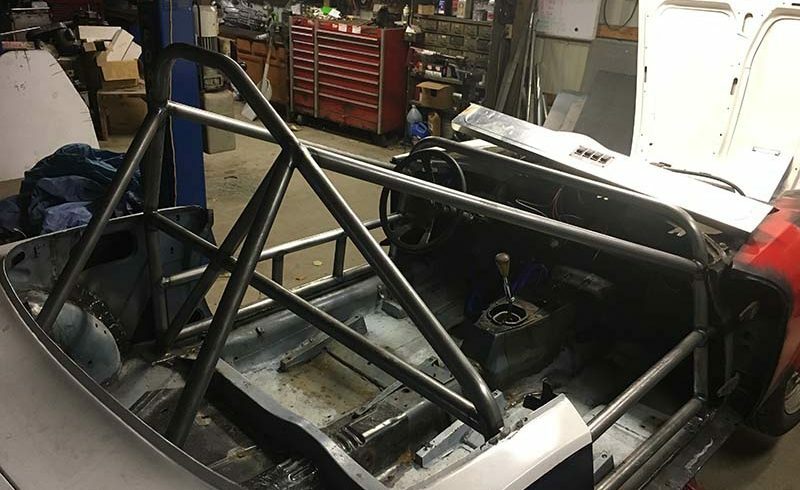 Our customer picked the car up with a new roll cage, fuel cell, body repairs all completed. 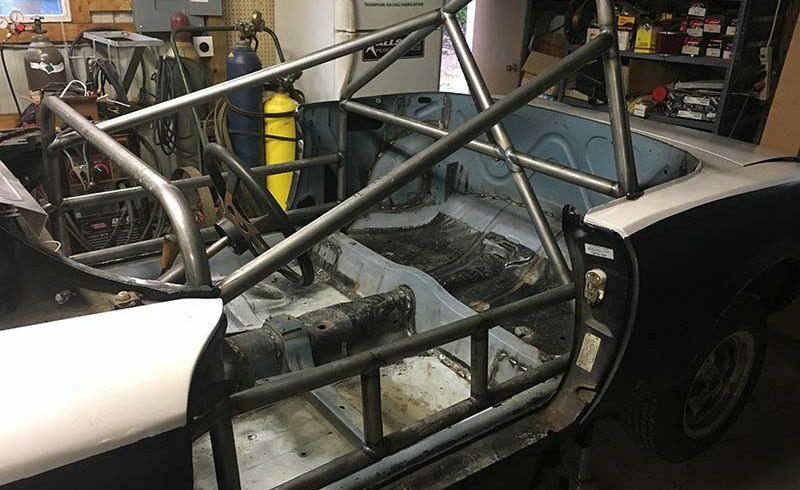 The vehicle was ready for primer, paint and then reassembly. 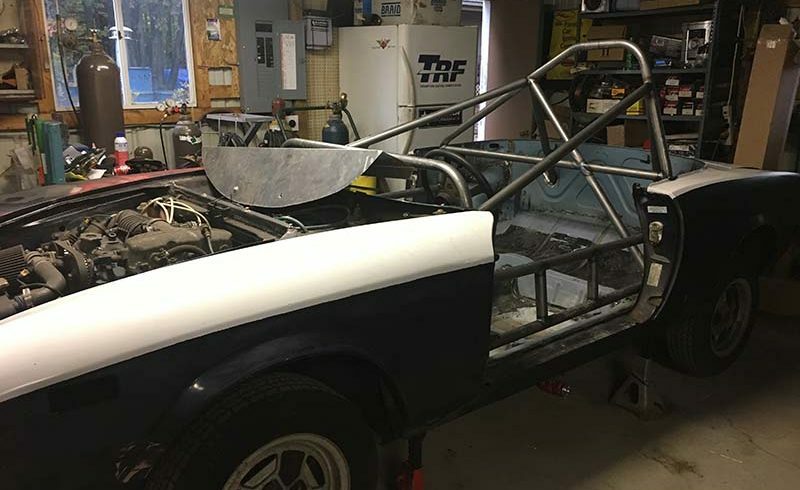 Essentially, all the welding and fabricating was done; all he needed to do is apply some paint and then start turning bolts.